The most common Capped Bust Quarter dates is 1831 through 1838 and they’re the most affordable and can be bought fro $50 to $70 in the low grades. 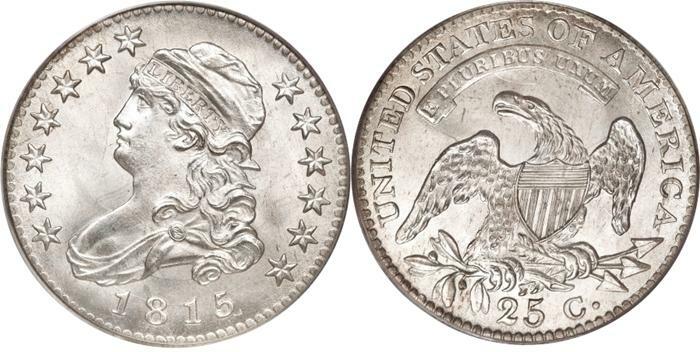 The 1815 through 1828 are more rare and they can be bought for as little as $140 to $200, but there’s some extremely rare examples that are worth much more; more on those in the variety section. Capped Bust Quarters are worth a small premium even in the lower grades (G4) but they are extremely rare and valuable the higher the grade. You just can’t touch and date for less than $1,000 to $4,000 in AU (Almost Uncirculated). The proofs are extremely rare for this series with only a handful known to exist of most, and some less than that, and some are reported but not known to exist. However the survival rate for the proofs they’re all worth at least $10,000 each. It’s worth noting that the proofs are the best bargain since they might be worth five figures or more but only a few are known for each date. It’s a numismatic bargain that is certain to be a decent investment. 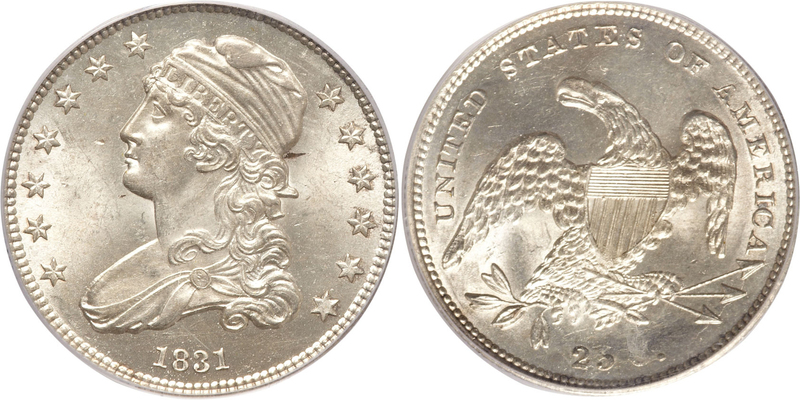 1822 25/50C and the 1823/2 are the most valuable varieties for the Capped Bust Quarter series. 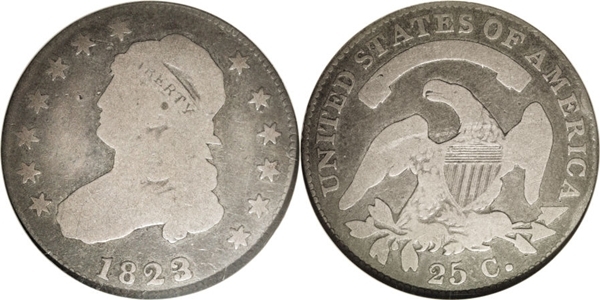 The 1823/2 is an extreme rarity and worth at least $30,000. The rest of the varieties are worth a premium but their grade and condition determine how much. Capped Bust Quarter value is determined by many factors and this article tells it all.